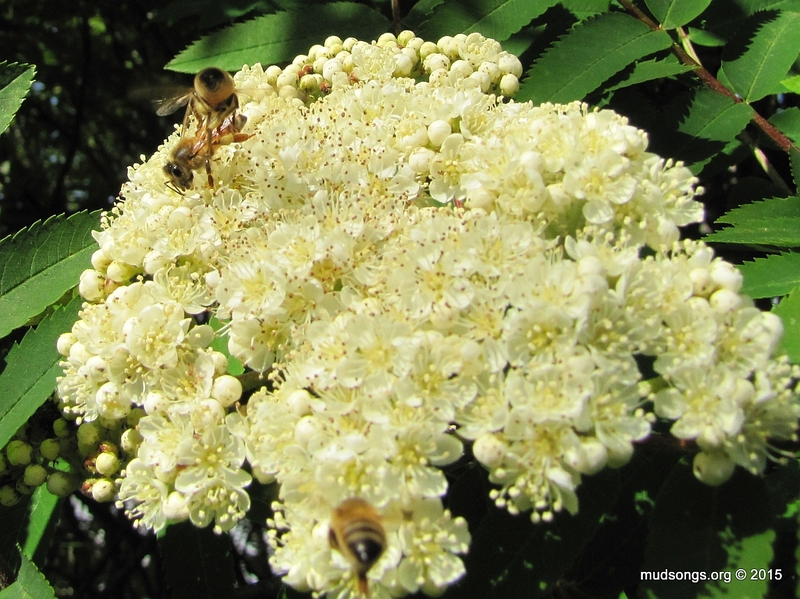 Another honey bee friendly flower that grows abundantly on the island of Newfoundland is Showy Mountain Ash, Sorbus decora, or as it’s commonly known, Dogberry. Dogberry blossoms in St. John’s, NL (June 23, 2015). Again, a big reminder to wannabe beekeepers in St. John’s that your honey bees would be all over these flowers, collecting pollen and sucking up nectar to make their honey. There is no shortage of nectar for honey bees in St. John’s. These blossoms turn into hard bunches of bright red berries that stay on the trees well into winter and provide a food source for wintering birds. 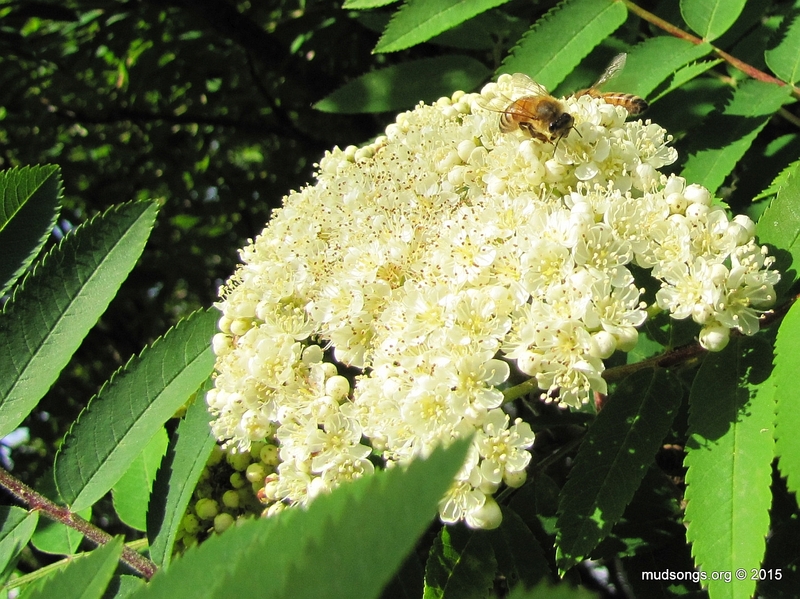 Honey bees in a Dogberry tree (June 27, 2015). Although the berries can be used for jams and preserves, they taste like dog, bitter and nasty. That’s probably why most birds ignore them until they absolutely have no choice but to eat them in the winter. Honey bee on Dogberry blossoms in Flatrock, NL (June 27, 2015). 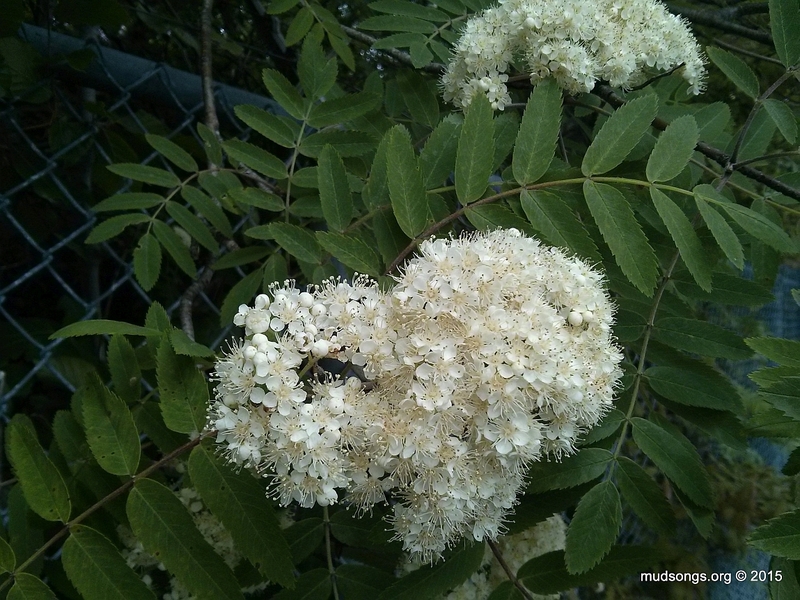 JULY 30, 2015: I noticed the flowers of the dogberry tree are similar to False Spiraea, but on closer examination of the leaves in the photos, it’s clear they’re not the same. At least I don’t think so. 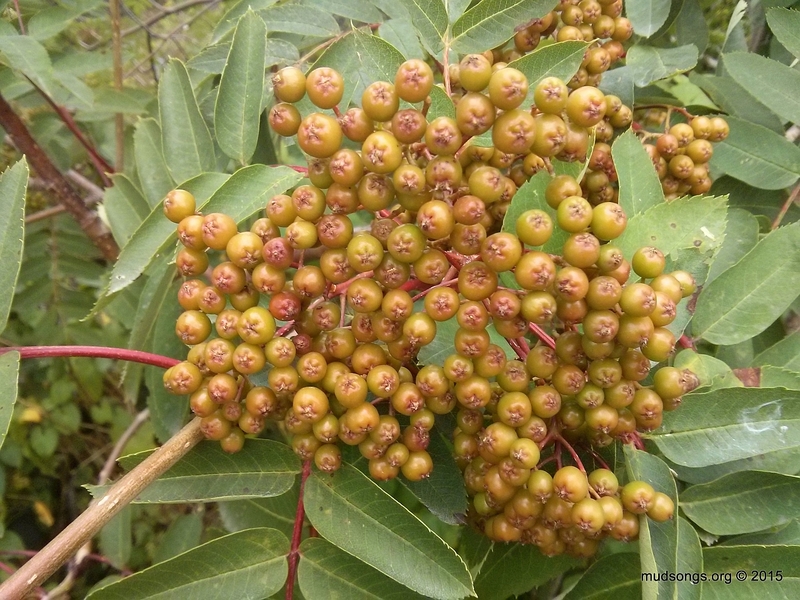 AUGUST 31, 2015: Here’s a cell phone photo of the berry, not fully ripe yet. NOVEMBER 22, 2015: Here’s what they look like when they’re red. 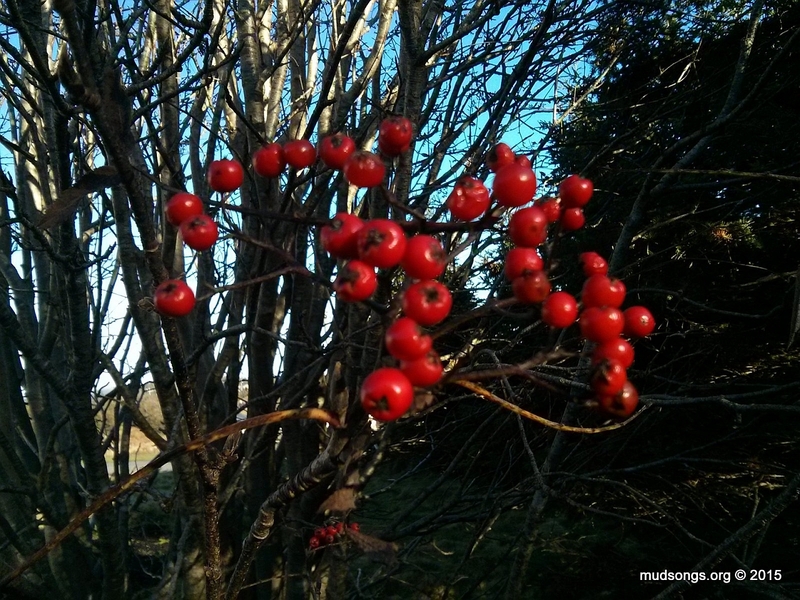 The berries usually stay on the trees in large bunches throughout the winter. Most of the berries on this particular tree next to my house were picked off by a flock of small grey birds one day. I’ve never seen that happen before. 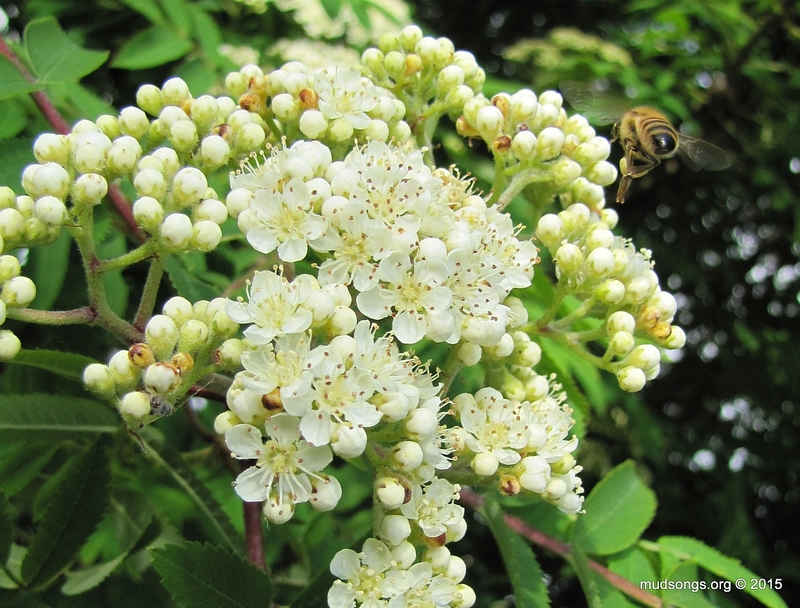 This entry was posted in Dogberry, Flowers, Month of June, Year 2015 and tagged Newfoundland Honey Bee Forage. Bookmark the permalink.